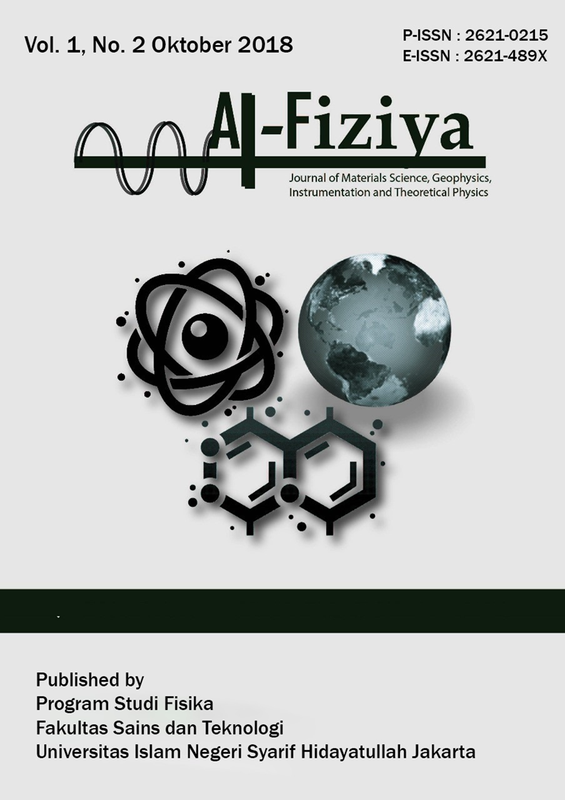 Al-Fiziya: Journal of Materials Science, Geophysics, Instrumentation and Theoretical Physics is a journal of physics that published by Departement of Physics, Faculty of Science and Technology UIN Syarif Hidayatullah Jakarta. The aim of the journal is to disseminate the researches done by researchers both from Indonesian and overseas. This journal focused on physics field including Materials Sciences, Geophysics, Instrumentation Physics, and Theoretical Physics. AL-FIZIYA is also dedicated to preserving the transmission of knowledge of science. The journal welcomes contributions from scholars around the world in the physics field, both in English and Bahasa.